Coast Diamond presents Beverly Palm Jewelers of Easton, PA as our featured retailer of the week. For over 27 years Beverly Palm Jewelers has abided by the same principle: Complete customer satisfaction. The years of experience and knowledge that Beverly Palm Jewelers has acquired in the diamond industry have enabled them to bring the finest quality diamonds at competitive prices to their customers. Their representatives, members of the prestigious Diamond Buyers Club in New York, search the world over for quality, brilliance and beauty in the diamonds they offer at Beverly Palm Jewelers. On your next visit to Beverly Palm Jewelers try on these classically stunning Coast Diamond engagement rings. The peek-a-boo diamond on the side of these engagement rings is sure to excite any bride. Surprise her with this classic band to stack with her wedding set for an anniversary. Visit Beverly Palm Jewelers, the largest diamond dealer in the Northeast, to find these and other Coast Diamond engagement rings. Coast Diamond congratulates Beverly Palm Jewelers of Easton, Pennsylvania as the featured retailer of the week. 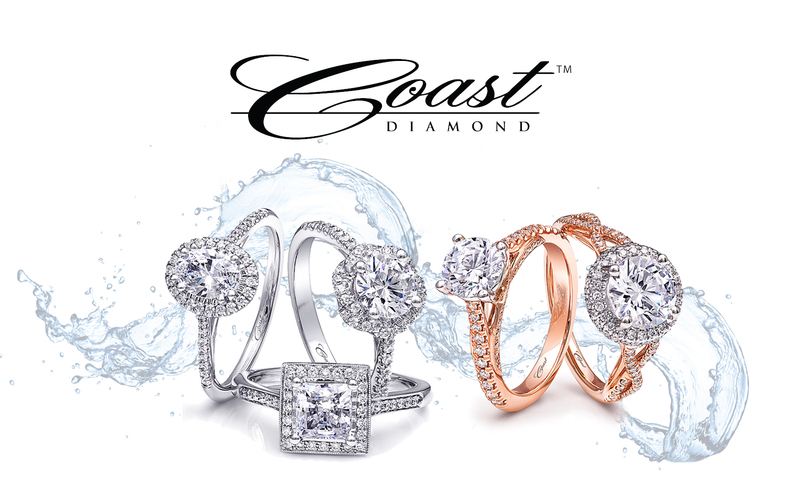 Coast Diamond is proud to honor Diamond Brokers of Memphis, TN as our featured retailer of the week. Diamond Brokers of Memphis has one of the largest selections of diamond engagement ring settings in the Mid-South. 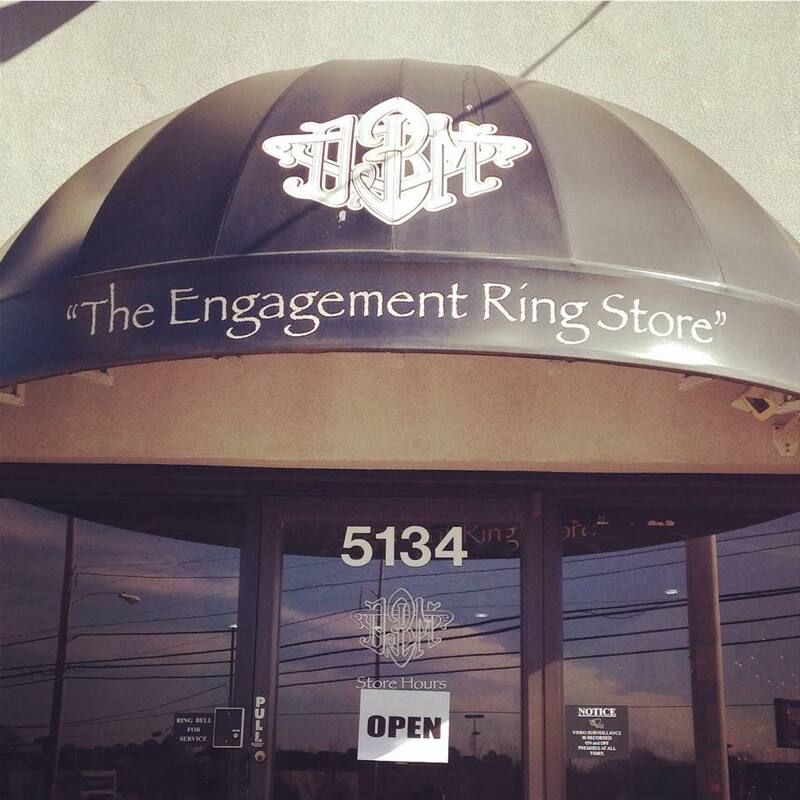 When you visit DBM you are sure to find the engagement ring that fulfills your dreams and fits your budget. Due to their access to diamonds from around the world, Diamond Brokers of Memphis is able to offer all diamonds at only 10% over cost and all settings are 50% off retail price everyday. All Diamond Brokers of Memphis engagement rings have a life-time warranty. Diamond Brokers of Memphis invites you to come into the store and gaze upon this lovely, romantic Coast Diamond halo engagement ring with fine pave diamonds and milgrain edging. Try on this Coast Diamond round halo engagement ring with diamonds cascading down the shank to add extra sparkle. You won’t want to leave the store before trying this Coast Diamond beauty on. Visit Diamond Brokers of Memphis to find your brilliant Coast Diamond Engagement Ring today. Congratulations to Diamond Brokers of Memphis for being Coast Diamond’s Featured Retailer of the Week.